Posted by Shawn Kriewaldt. on Tuesday, July 12th, 2016 at 1:17pm. 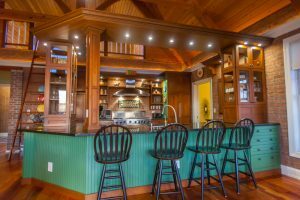 The hustle and bustle of your day comes to an immediate end as you walk across your covered porch into this custom designed home full of thought and character. 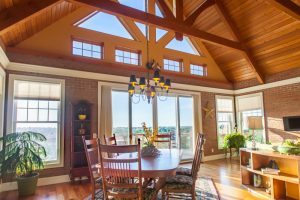 Set on nearly 20 acres overlooking the gorgeous countryside enjoyed on you deck accessed from your master suite, great room and screen porch. The great room features 100 plus year old Douglas fir timber framed pegged beams and Douglas fir tongue and groove ceiling. It also features brick interior highlighting a 2-sided fireplace. Open to this stylish kitchen where you’ll find the convenience of the breakfast bar which comfortably seats 4-5 people who can enjoy your company while working in the kitchen. Furnished with cherry cabinets by Dream Kitchens, a 6-burner plus griddle stove, dishwasher, trash compactor, a walk-in pantry and even a dumb waiter. Built-in glass cabinets are on either end of your breakfast bar to display your fine china or glass décor. 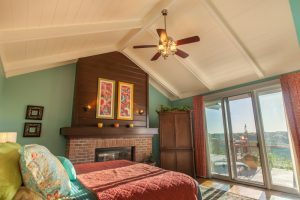 Relax in your main level master suite while enjoying the fireplace and countryside views from your large patio door. Your master bath awaits you at the end of long day with a jetted tub or the 2-person shower with body sprays. Dual custom vanities by Dream Kitchens and a large walk-in closet with built-ins make getting ready for the day or a night out stress-free. The second bedroom on the main level features a cathedral ceiling, window seat and a full bath with walk-in closet. Your main level also offers an office/den, laundry, 3-screen porch and look up … a loft that overlooks the main level! The upper-level above the 3-car garage offers an office with built-ins, a bonus/bedroom and large storage closet. 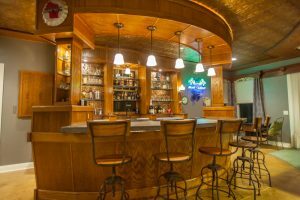 You’ll be the envy of family and friends in your finished lower level entertaining around your custom bar with concrete top, glass shelving and stamped tin backdrop and ceiling. There’s even a place for all your games or exercise equipment, hook up and floor drain for a hot tub conveniently located next to a full bath. If the party gets too big, there’s a large patio door leading outside to your patio and back lawn. The 2-sided gas fireplace set with arched entry way to the family room allows you the luxury of watching movies on your big screen or just relaxing with friends. Two additional bedrooms and a full bath complete your lower level. 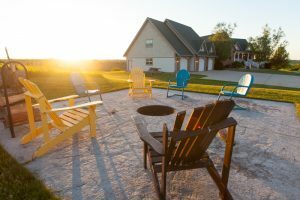 Whether you’re relaxing on the covered porch with a good book, sitting around the fire pit with friends or taking in the gorgeous countryside from your deck the beauty and privacy of this home is breathtaking.